Scientist, author, keynote science communicator turned actress, Christina Ochoa combine marine science research, writing and acting in the most splendid way. The up and coming Modern Family Television actress ranks among the non-Anglophone non-American actors/actress who is presently making a mark in Hollywood today and this article helps you get to know more about her age, husband and body measurement. She was born Cristina Ochoa Lopez on the 25th of January 1985 in the city of Barcelona in Spain to a Cuban mother and Spanish dad Victor Ochoa, a native of Bilbao in Spain. She was born amongst artists and scientist; her father was a famous Spanish sculptor and her great-uncle was the 1959 Nobel Prize winner in Physiology and Medicine, Severo Ochoa; hence there was no escaping being influenced by both fields of endeavour. Ochoa travelled a lot as a child between Miami, USA and Madrid in Spain. Christina Ochoa developed her accent watching English television programs and listening to hip hop music, particularly American rapper Will Smith. Hence, today she speaks both English and Spanish languages fluently. When she finished high school, Ochoa gained admission into the University of Las Palmas de Canaria in the Canary Islands, Spain. She continued the pursuit of her career in Oceanography In the James Cook University, Australia where she studied Marine Biology. In Washington DC, USA Christina Ochoa was on her way to fully embrace a career in biology and oceanology, when her raw artistic ability was noticed by TV producers and script-writers who offered her a minor acting role in theatrical plays which eventually became her favourite hobby. The actress revealed how acting seemed to fill up void within her she never knew existed. She put her studies on hold and decided to devote more time to her new occupation in acting, a decision that led to her move to Madrid in order to acquire formal training in the Cristina Rota Conservatory and Film Institute. Christina Ochoa acquired her early acting experience at the Little Theatre of Alexandria, Washington DC. Thereafter, she was given supporting roles in TV series like [email protected] (2009) and I Hate My Teenage Daughter (2011-2012), as well as movies like Cats Dancing on Jupiter. She ventured into film production by starting up a company of her own named QE (Quantum Entanglement) Productions; and in 2011, her company released the movie Stay with Me, which was so successful that it won American and European Festival awards. Her most notable TV performances include Modern Family (2012), Matador, Chaotic Awesome (2014), Animal Kingdom (2016-2018), Blood Drive (2017), Valor (2017-2018), A Million Little things (2018). Movies directed include Know Brainer (2014). However, the award-winning actress-producer has not quit science just yet; she is still training as a shark researcher and has continued her education at the National University of Distance Education where she studies physics. The Los Angeles based scientist and actress had joined the high IQ society MENSA since 2009 and also holds the membership of the Los Angeles Committee for Science for Society which promotes propagation of scientific learning among people. In the 2011-2015, scientific comedy, Professor Blastoff, Christina merges both areas of expertise masterfully to the appreciation of the viewers. Besides her acting skills, Christina Ochoa had acquired/developed other interesting skills in writing, public speaking as a science communicator, scuba diving, fight and stunt driving, as well as dancing. She has been a guest keynote speaker for online educational platforms like STEM, Nerd Alert educational Podcasts like, Talk Nerdy, Prof. Blastoff and in addition, she hosts Know Brainer educational podcast. The Barcelona-born actress has written several film pieces for El Imparcial, a Puerto Rican tabloid, reviewed dozens of books and even got her works published in Vogue edition in 2010. With various channels of income created by the Spanish-American actress, producer and science communicator, her net worth has been under review and yet to be verified though it is speculated that she earns an annual salary of $300,000 which is quite higher than what an average actress gets in the industry. Ochoa’s attractiveness as a woman is all too obvious. Her pictures have made it to various covers of bestselling glitzy magazines. However, she is yet to tie the knot with anyone. 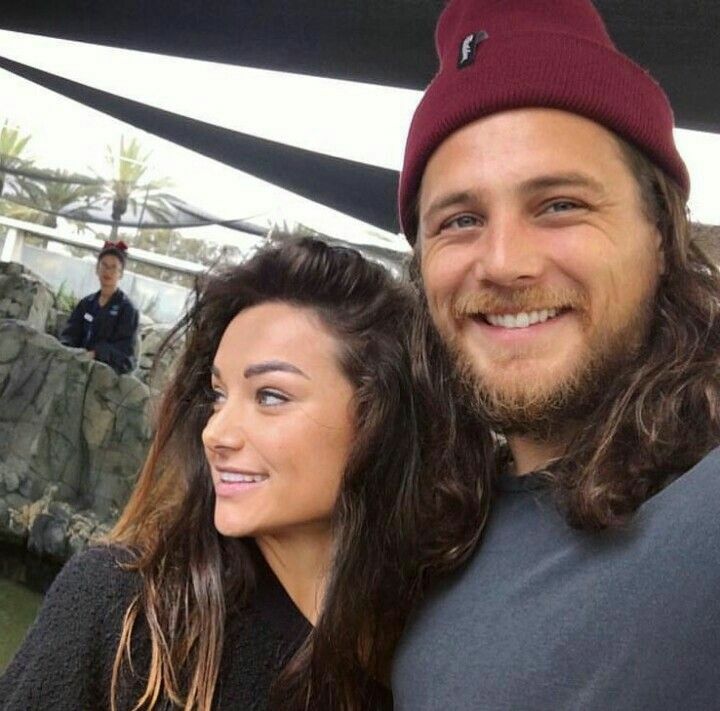 So far, Christina Ochoa has been linked to two romantic relationships; the first being with Canadian-American actor and voice actor Nathan Fillion of Firefly. Their relationship ended in 2014. The second person she allegedly dated was TV actor and model Derek Theler; they began in 2014 and broke up in 2016. 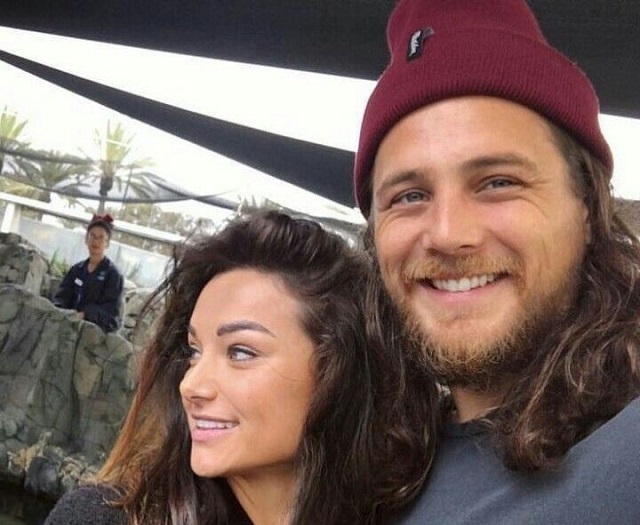 Though yet to be verified, it is speculated that the Spanish beauty is presently dating fellow Animal Kingdom TV actor Ben Robson. Instagram pictures of the couple in a cuddly posture have been circulating since 2017. Christina Ochoa is a well-proportioned Spanish lady with a slim hour-glass build, standing 5 Feet 10 inches tall and she weighs 61kg (135 pounds). Her general body measurements include 37-25-37 all in inches, bra cup size: 36c; shoe/feet size: 7.5 (US), dress size: 8 (US).